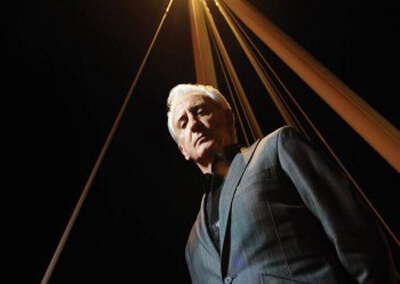 Tony Christie has sold more than 10 million albums worldwide. He had two Top Twenty hits in the UK Singles Chart in 1971 with I Did What I Did for Maria and Is This the Way to Amarillo . He recorded albums regularly throughout the 1970s and made infrequent appearances on the charts. His album With Loving Feeling sold well boosted by the hit single Is This The Way to Amarillo . He recorded an album in the United States in 1973 with the record producer Snuff Garrett, which did little to stop his commercial slide. A live album followed which sold relatively better. But by the mid-1970s recorded work became rarer and stage work took preference. In 2005, the Dutch singer Albert West covered Is This the Way to Amarillo . The same year Christie re-recorded Is This the Way to Amarillo together with the Hermes House Band for the German market. A few months later he re-released another single Avenues & Alleyways , as a follow-up to the success of Amarillo . Although this only reached Number 26 on the UK Singles Chart, it once again out-performed the original release, which reached Number 37 in 1973. Following on from this success, Christie released a single on 5 December 2005, a big band cover of Slade’s Merry Xmas Everybody . The B-side contained a big band version of Is This the Way to Amarillo and a live recording of If It Feels Good, Do It plus videos of the first two tracks. However, it only reached Number 49 on the UK chart. To coincide with the 2006 World Cup, a new version of Amarillo was released on the novelty single (Is This The Way To) The World Cup? on 29 May 2006, On 6 November 2006, Christie issued the album, Simply in Love . In 2008 Christie recorded the album, Made in Sheffield , with production from Richard Hawley, and contributions from Alex Turner and Jarvis Cocker. On 20 May 2008, he performed one of the album’s songs, Danger Is A Woman In Love , at the Royal Albert Hall with Hawley. 2009 saw the release of the download single, Every Word She Said . The same year, Christie also featured in “Heresy”, with his nephew’s band Laruso, which was released on their début album A Classic Case of Cause and Effect. In July 2010 Christie made his West End début in the musical Dreamboats and Petticoats in London’s Playhouse Theatre playing the roles of ‘Older Bobby’ and ‘Phil’. On 22 December 2010, Christie appeared in a celebrity version of Come Dine with Me. Christie came joint second, with actress Susie Amy, behind winner Janet Ellis, but ahead of the musician and actor Goldie. Christie’s nineteenth studio album, Now’s the Time! , was released in the UK on 7 February 2011 through Acid Jazz. 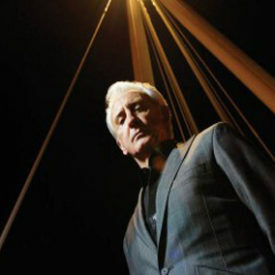 Produced by Richard Barrett of All Seeing I, it included collaborations with Jarvis Cocker and Róisín Murphy. To coincide with 50 years in the music industry, Christie embarked on a 50-date national tour promoting the new album. Over the course of the summer Christie travelled with his band across the country performing in all kinds of venues. The tour included his back catalogue of hits including Avenues and Alleyways , Las Vegas , Walk Like A Panther to name a few and several tracks from the new Now’s the Time! album. Included in the set list was a version of Mr Bojangles made famous by Sammy Davis Jr. and a cover of the Smokey Robinson hit Shop Around . On 23 October 2011, Christie released a charity single, a special arrangement of Steal The Sun .